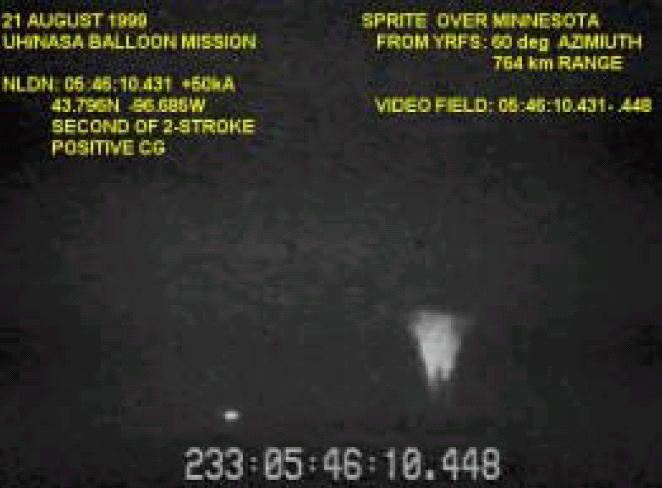 The primary focus of the SPRITES'99 campaign was to support a series of stratospheric balloon missions over and near transients electromagnetic events generating storms in conjunction with coordinated ground-based measurements in several distant points. The instrumentation package -designed and developed by the University of Houston- included a three axis broad band electric field and magnetic field detector with sufficient dynamic range and bandwidth to resolve the expected sprite excitation field and to distinguish between ac and dc excitation mechanisms. A gamma ray spectrometer consisting of a scintillation counter and a pulse height analyzer was also flown. On board memory was sufficient to record over a thousand bursts, with 160 ms sampling times and a 40 ms pre-trigger period. The flight was launched at 00:39 UTC on August 21th, 1999 using dynamic method assited by a fixed crane as launch vehicle. Float altitude of 32 km was achieved at 2:38 UTC and then, the balloon started to travel westward at an average speed of 30 knots. After a flight of near 10 hours cutdown command was transmited at 11:12 UTC on the same day. The balloon required just over one hour to reach its ceiling (around 33 km) after which it was expected to float generally westerly at 20-30 kts. In order to prepare for launch, a decision was required several hours before sprites were expected to begin. As a further complication, the balloon was expected only to fly near the target storm, but not over it. Such overflights are now disallowed given the 1989 uncommanded payload release over Dallas, Texas. During much of the experimental period, adverse weather at the launch site (rain and/or high surface winds) severely limited the launch opportunities. This was the third launch attemp and the second succsesfull. The system was airborne between 0039 and 1112 UTC. The balloon, flying at 33 km over southern Iowa and northern Missouri, passed between two rather small sprite-producing storms in Minnesota and Kansas. Ground stations in Yucca Ridge plus two other University of Alaska ground sites (Bear Mountain, SD and Jelm Mountain, WY) were able to obtain coordinated images of sprites and elves. VLF signals were also recorded. Cooperating ELF measurements were made in California (Martin Fuellekrug), Rhode Island (Earle Williams) and Israel (Colin Price). NOAA ETL in Boulder was also recording in a search for possible infrasound signatures. 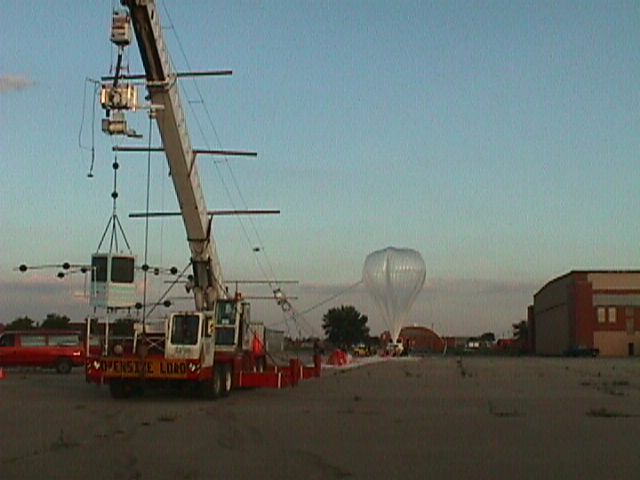 This experiment marks the first time coordinated surface and stratospheric balloon measurements have been successfully obtained during documented sprite conditions.